We are glad we tried Stani out. 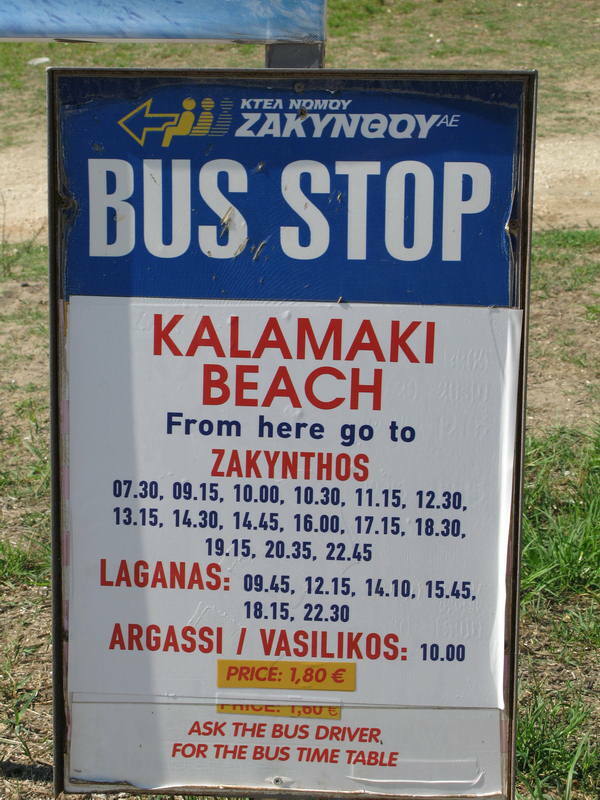 It was recommended to us by a couple who have been visiting Kalamaki for years. It was on a regular night (not a Greek night which we were also told was a great experience with dancing, fire and music!). We were made to feel very welcome and enjoyed some very good food and good service. The staff wanted to know more about my i-phone which I was using as a camera out on our holiday. They seemed fascinated by it. I think they were hoping to get one soon! A very pleasant evening and good quality food. PS There is no rubbish as pictured in the photos from an earlier review. This must have been cleared and the restaurant looked nice and clean inside and out. Very nice decorative wall outside with gardens and water feature. I think the owners hire the sunbeds out on the beach and they own the shop next door too. Having seen the reviews and found ourselves near Stani's we thought we would try it. We found it very ordinary, the food nothing special, too English! But what really put us off was the state of the area behind the restaurant, when we went for a walk after the meal. See the pictures, if it's like this, what's it like in the kitchen? First and last time for us!! my boyfriend and i visited stani on the sunday night before we came home. the greek night was fantastic the dancers were very entertaining and had us up dancing most of the night it is a great laugh and ther food was good but not the best we had but worth it for the dancing and entertainment. make sure you book your table in advance as sundays are very busy night. We did Greek night here last year. Food wise, it was ok, say 6/7 out of 10. Portion was abit small for me but quality good. However, enterainment wise Greek night was fantastic. I have not danced so long in many years. Really was a good laugh, if knackering after what seemed like 45 minutes! Would do a gree night here again though with out dought. We had lunch here one day, and enjoyed it so much, we returned on our second last evening, for dinner. Lovely relaxed restaurant, great food and very reasonable. We would highly recommend Stani, for lunch and dinner. Just got back from a week in Tsilivi in July. We hired a car so we could go back to Kalamaki in the evening to visit a few fab restaurants. Stani's is always one of my favorite restaurants. The atmosphere is so relaxed and the view is fantastic, Stani's definately make the best Mousaka on the Island! Just got back again, June 2009. Brilliant yet again! Petro and the staff are just brilliant! Great setting, great atmosphere, great food ..... just brilliant! I'd give it 10/10 but even Gordon Ramsey would struggle to be perfect every time! Thanks again Petro, Dennis, Tassis, the chef, the lads ..... everybody concerned. Oh... and Petro, the Gypsy's earrings aren't gold! It was our wedding anniversary below and as Lesley says it was wonderful. We ate here many times for lunch and in the evening and cannot fault anything. The food,service and prices were superb. Can't wait to get back in May 09. Visited Stani's 3 times during our visit (18/9/8 -25/9/8) for lunch and were never disappointed. Good menu, varied choice, great value & the house red wine is lovely! Only sorry that we missed the Greek Night. Well worth a visit! Although me and my family didn't eat at this restaurant, after spending one Sunday night at Stanis, we were hooked! Amazing Greek night, only wish it was twice a week!! Hi, just found this website and had to write a comment. Don't know if you will remember us or not. My husband and I first found this restaurant about 20years ago and for the next 5 years had holidays in Kalamaki which also involved many great meals and evenings in Stani. Thassos, Taki, Pedros and all the family were so very welcoming and we even one year stayed at Katerina appartments which were great. We are always so sad leaving at the end of our holidays. We are thinking of returning to the island next year for our Silver Wedding and would love to catch up with you all again. Maybe even relive some of the fantastic times we had. Hope you and your families are all well and would love to hear from you. My email address is janettehair@hotmail.com. Hi everyone, back home now and it's freezing!! Great to see you all again (for the 3rd time this year!! ) Love visiting this restaurant, everyone is so friendly and the view is amazing! - bit late for the greek night this time, but we'll be back up dancing on those tables again next year ...Can't wait! Have a good winter everyone and thanks again for the lovely meals! More pics from your fab Gre ek night! Thanks again for making us feel so welcome! Hope you like the pictures, see you next time! Lovely restaurant with a sea view. Very friendly staff. Good food, fantastic greek night on Sundays. Well recommended, dancing, music festivities all evening. Loved it. 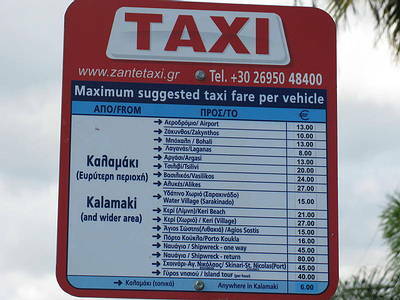 I have been visiting Zante now for 6 years and always visit Stani's. As usual we had a fantastic time. The food is always fantastic and really good value. This year is the first time I have visted on Sunday night which is the greek night with dancing etc. I really enjoyed it the atmosphere was really great. During our visit this year it was during a heatwave, even the evenings were really hot, with Stani's being a seafront restaurant it was alot cooler than the other restaurants we visited. The views are great, food always great, staff are the most friendly, and always create a relaxing fun night. This is my favorite restaurant, if I get chance I sometimes even visit for a breakfast!